AeroAggregates has established a beneficial reuse of recycled glass that would otherwise be disposed of in a landfill. The final product has been proven to be a cost-effective alternative to other lightweight materials currently used on infrastructure projects in multiple applications. Our manufacturing plant is located on a brownfield redevelopment site that was formerly the Baldwin Locomotive plant in Eddystone, PA. For decades, Baldwin was the world's largest producer of steam locomotives. The equipment used by AeroAggregates to produce foamed glass aggregates was specifically designed to be energy efficient. As a result, there is less energy used and subsequently less CO2 produced when making foamed glass aggregate compared to other lightweight fill materials. The carbon footprint continues to be reduced during shipping due to the ultra-low unit weight of foamed glass aggregate. AeroAggregates can ship up to 100 CY per truckload. In comparison, traditional quarried aggregates would require up to 8 trucks to ship the same 100 CY volume. Once delivered to a construction site, foamed glass aggregate is placed in 2-foot lifts and does not require a roller for compaction. This further reduces the carbon footprint due to speed of construction and less equipment required to place and compact. AeroAggregates is one of a limited number of companies that covert 100% recycled waste into a technically-proven construction material. 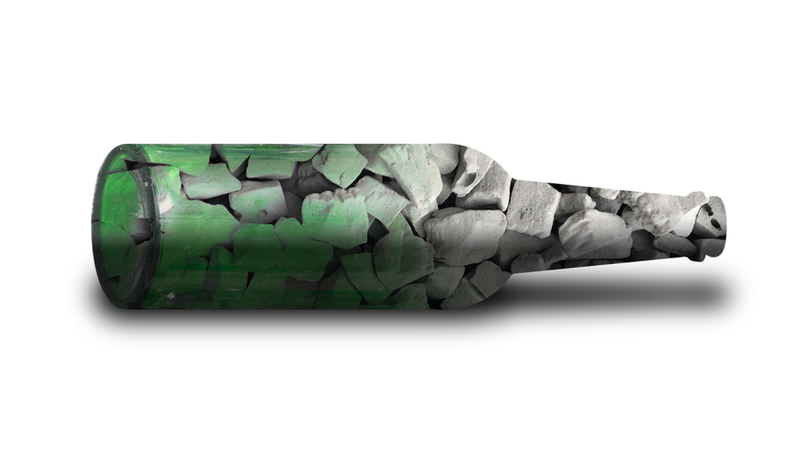 Today, AeroAggregates diverts the equivalent over 140 million glass bottles from landfill every year. Foamed glass aggregate diverts waste from landfills and by doing so, is supporting municipalities’ waste reduction goals while providing a cost effective, technically proven, building material for infrastructure projects.